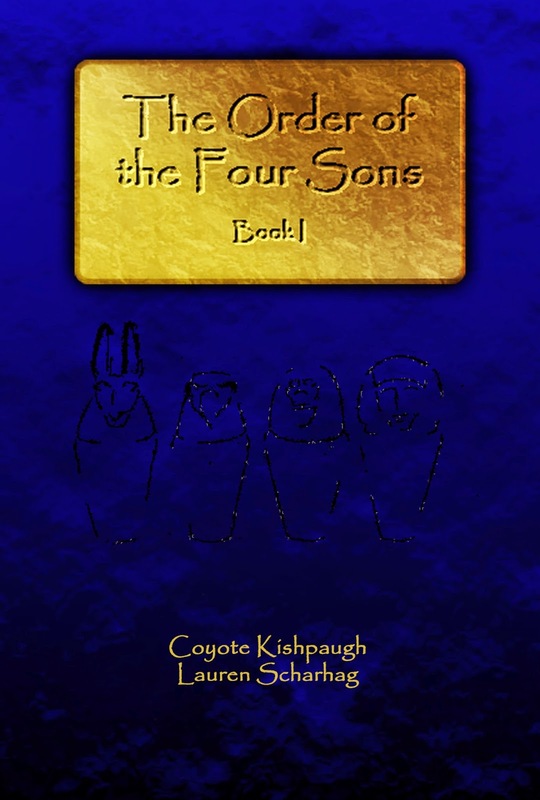 I have, in my hot little hand, the preliminary edits from the publisher of The Order of the Four Sons, Book I. Now what happens is Coyote and I will go over them and approve changes. We've been working with the publisher on cover art, so hopefully I can reveal that soon, as well as a re-release date. Carcosa has now entered the editing process with plans to re-release this fall. Where Flap the Tatters of the King is going to be split into two books, to be re-released in 2016. Me: What would Joan call the Corbenese as an insult? The British have the word 'toff' to insult rich people, but I don't know that Joan would use that. Patrick: She'd called them Corbis, of course. Or Corgis. Everything's better with Corgis. Now all I can see are Corgis dressed up as your characters. Me: NO. Well, yes to the second thing you said. 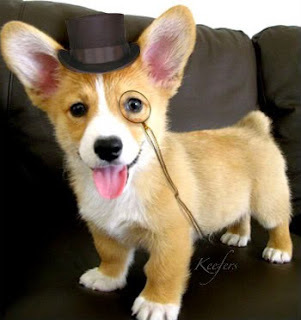 Because that is hilarious and adorable and now I want nothing more than to see a Corgi dressed up in a wine-colored frock coat with a Christophe beard . . . and now I am derailed. And there was no more writing done that day. So, yeah. I think I'll just leave you with this.